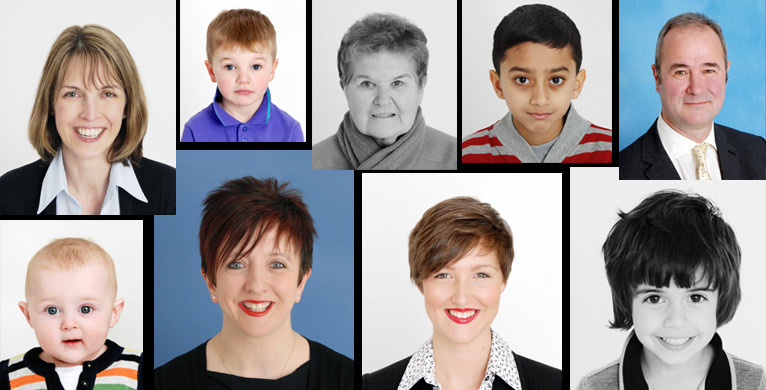 photo service from just £8.00 per set of 6 images! These are also suitable for Driving Licence cards,c.v applications, i.d badges and Travel Cards. American, Canadian and Australian Passports and worldwide Visa application photographs are priced from £18.00. If you require our Disabled Card Photography service we offer home visits around Glasgow from £30.00 including 1st Class postage to ensure your images reach you promptly. We also offer Airline Cabin Crew Application Photography Packages from £30.00. Simply arrange an appointment and bring along any specific non UK Passport or Visa requirements. We always take time to ensure you look good and we thoroughly check your photos to ensure they meet the high standards HMRC have for your passport photos. Your photographs will be ready to take away within 15 minutes. All of our Photography come with our quality assured guarantee; if you have any problems with the photos we will do them again - absolutely free! We are 15 minutes from Glasgow City Centre with ample parking, cafe, restaurants and shops close by, just give us a call or email us to arrange your appointment.